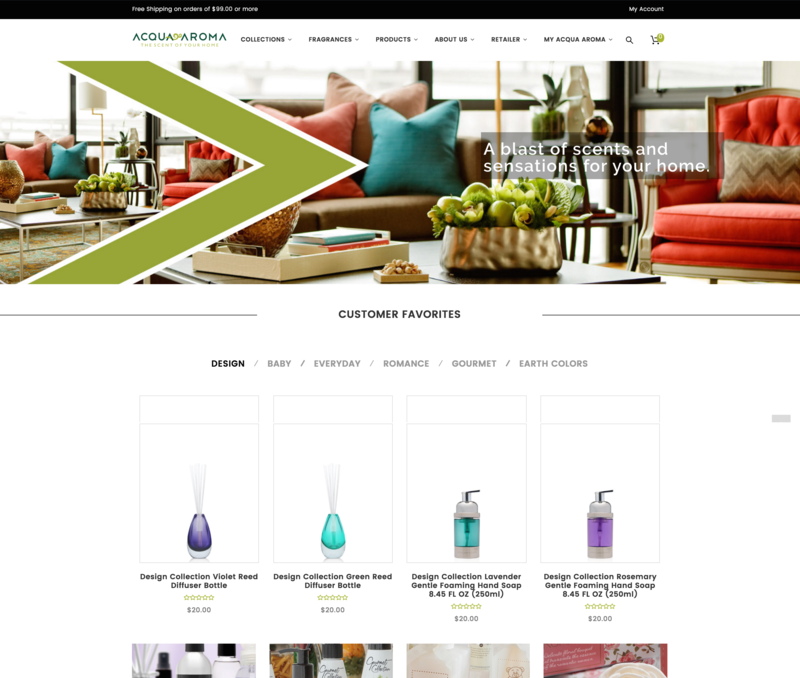 The Acqua Aroma has a new look! Our website has been completely redesigned and now offers the convenience of a virtual store where you will find all our products. Buy online and receive the address you specify, or send a gift to someone you want to surprise. You can filter the products by line or fragrance , making it easier to search for the desired item. Our blog also has a new look, and it will bring decorating tips and well-being to let your even more pleasant environments. What comes out in the media about the Aroma Acqua you can also check on the blog. In addition to launching a new website, we redesigned our brand to make it more modern, but without losing what is our essence: the commitment to bring good feelings for you. The most notable change is the separation of the word “Acquaroma”, which continues with the same sound, but it is now written with two words, “Acqua Aroma”. It was not just the writing that has changed, our brand has also been redesigned, making letters with more geometric shape and thick lines. This new look gives better visibility when the logo is applied in product labels, is more symmetrical and transmits modernity. All this is for you! Enjoy, create your user account in our shop and get 10% discount on the first purchase. Explore the new site, sign up for our newsletter and follow us on social networks to be aware of all the news. Feel free, the house is yours!